Charming traditional building at a very central and quiet location. Our apartment was very clean, spacious, and beautifully decorated. The bed was extra comfortable, and our host gave a very warm welcome. Overall, a very good experience. 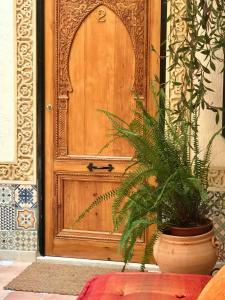 This is a beautiful Andalusian town house (not palace)with open courtyard converted into 6? apartments in quiet street. Ours was spacious and very well equipped: washing machine, iron, ironing board, full large kitchen with everything except an oven, use of lovely roof terrace. It also had a hall, sitting area & big bathroom with a bath. What sets this apartment apart is the taste & spec of its renovation & decoration & its original features. 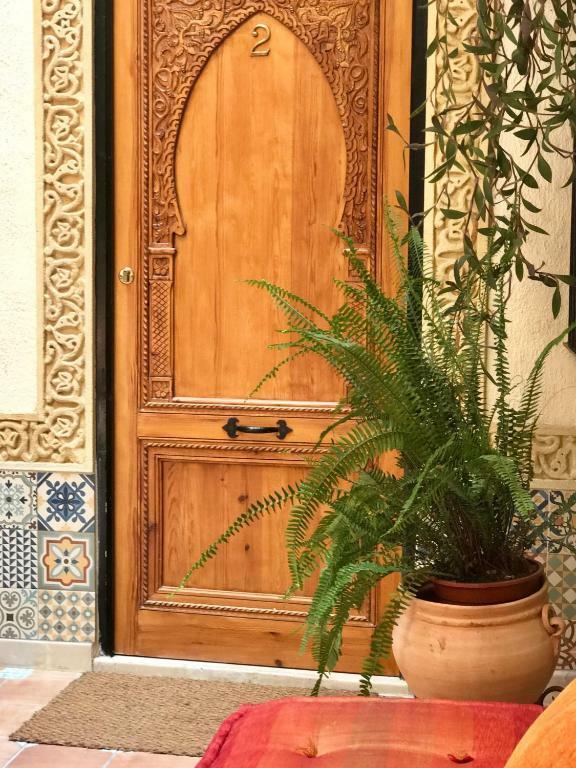 The lovely Spanish windows have their original wooden shutters. Well done indeed, Matt & Nuria, the hosts - Matt said on leaving us 'ring me anytime day or night if you need anything'. Other staff couldn't do enough for us. The walls are thin - we were fine but insensitive neighbours could be a problem. Overall, a great stay in a lovely place at a great price. Great staff, great attention to detail in decor. Super location. 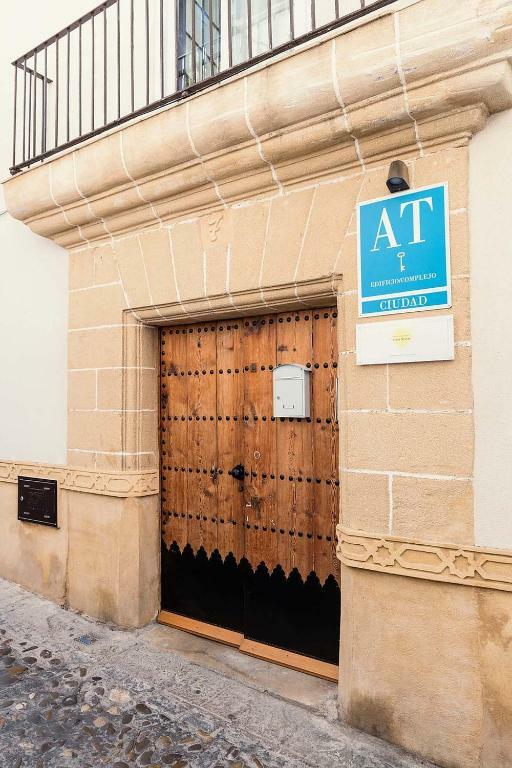 All in all a great property to stay in Jerez. Friendly atmospheric charming appartment. Good hostess. Everything needed for living was available. The apartment is beautiful—old, but updated with wonderful aesthetic and utilitarian features that make it enjoyable, quiet and dark when you close the curtains. It lacks a view, beyond that of the building across the narrow street, but the interior of the apartment makes up for it. It also has a small kitchen and a washing machine. Nuria, our host and Casa Seven owner, was great. She met us at the apartment at the appointed hour, spoke beautiful English and walked with my husband back to our car, which was parked a 15-minute walk away, to guide him to a parking spot she had grabbed for us on the street. The apartment is in a great location, near the historic sites and restaurants and bars. Nuria kindly circled on a map those that were her favorites, which led us to a cool, neighborhood flamenco performance in a locals' bar. Perfect location, clean and very comfortable. Highly recommended! Really friendly helpful people. Well equipped apartment. Great location. Old building. Very historic , very clean and comfortable.. Location. 5mins walk from lots of great bars and restaurants. Quirkiness of the apartment. Host was very welcoming and helpful. plenty of hot water, comfortable bed and the property is spotless and secure. 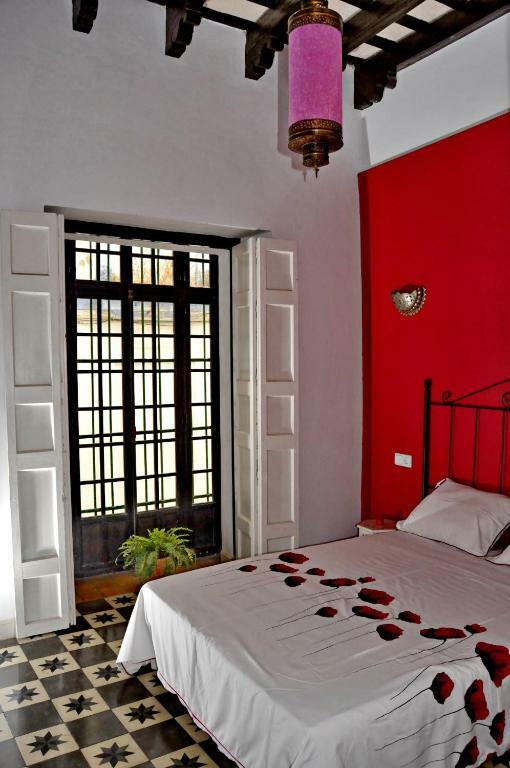 Lock in a great price for Casa Seven Apartamentos – rated 9.6 by recent guests! One of our best sellers in Jerez de la Frontera! 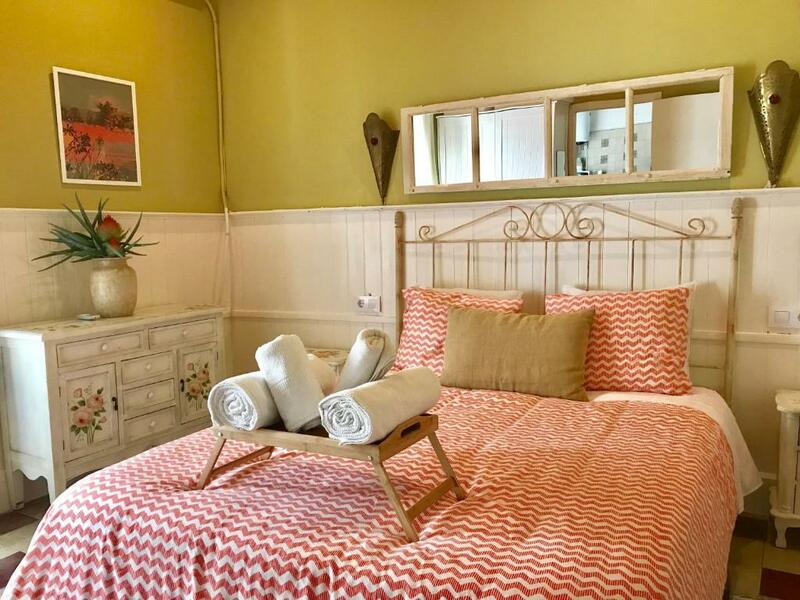 Located in Jerez de la Frontera, Casa Seven Apartamentos features free WiFi and units equipped with a kitchen. Fitted with a patio, the units feature a flat-screen TV and a private bathroom with shower. There's a seating and/or dining area in some units. Jerez Cathedral is an 8-minute walk from Casa Seven Apartamentos, while Plaza del Mercado is half a mile away. The nearest airport is Jerez Airport, 9 miles from the accommodation. 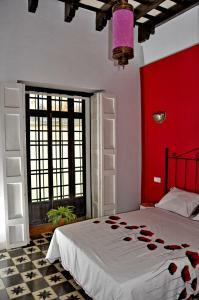 When would you like to stay at Casa Seven Apartamentos? This apartment has a private entrance, dining area and microwave. This apartment has a stovetop, dining area and flat-screen TV. 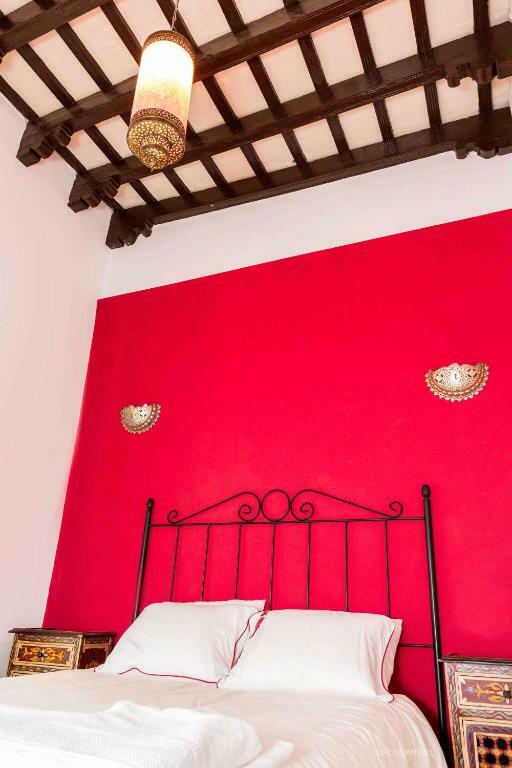 Casa Seven is a beautiful 17th C house, lovingly restored, right on the doorstop of the most central streets of Jerez. 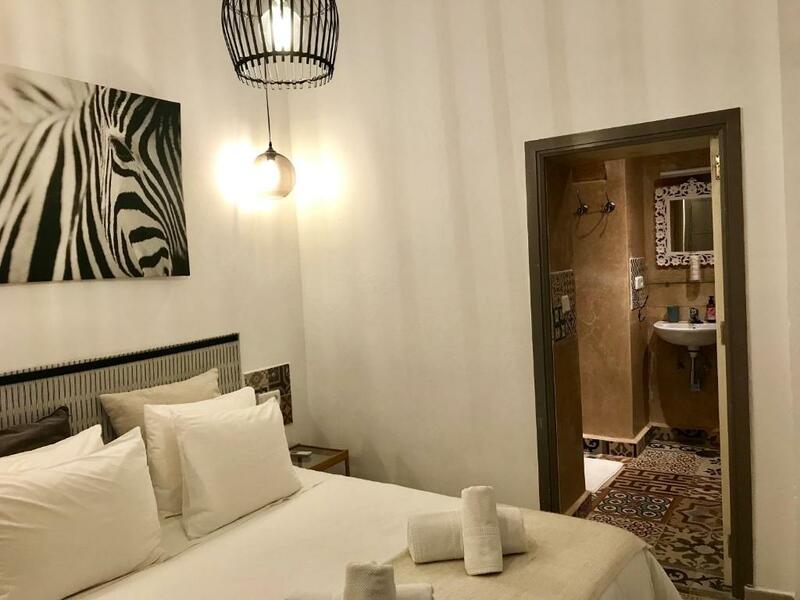 It has 6 apartments, all of them fitted out with kitchen and independent bathrooms, flat-screen TVs, kettle, iron, air-conditioning and wifi. Our guests can also use the central courtyard, ideal for reading and relaxing. All the apartments have windows onto the street as well as onto the courtyard. Access to the first and second floors is by staircase only; however, apartment nº1 is adapted for disabled guests. The train and bus stations are only 20 minutes' walk. 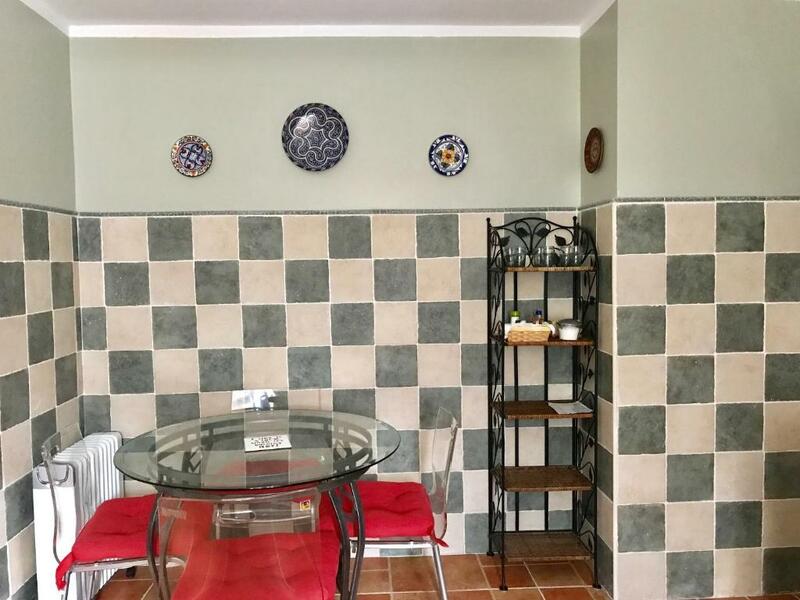 The location is perfect for discovering the town on foot, and if you should need it there is a public underground carpark ten minutes' walk from the house. The house, 100 metres from the Carmen church, is in a typical old quiet street which becomes very popular in Holy Week because of the difficulty and beauty of trying to get the processions through: quite a spectacle. 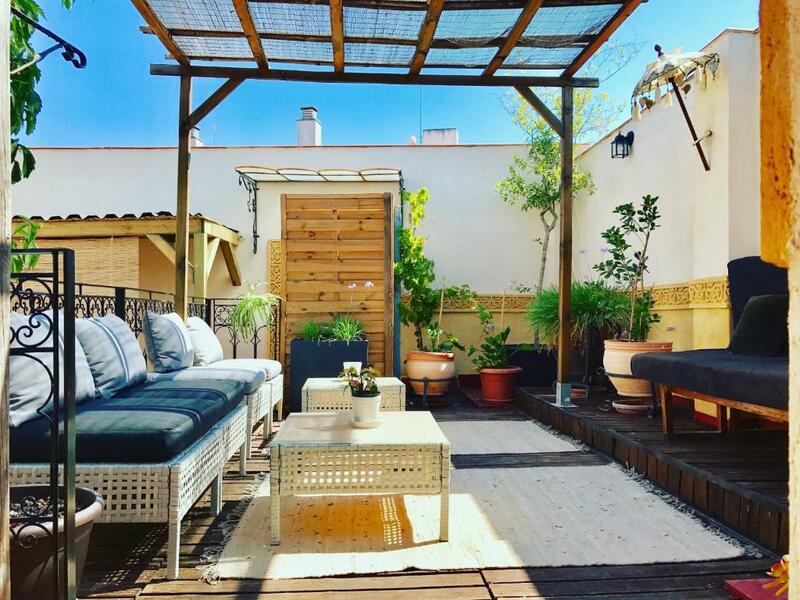 Apartments Nºs 4 & 6 are the most sought after at this time thanks to the incredible position of their balconies onto the street and the processions. The Alcazar (Moorish Castle), the Cathedral, and most of the sights are very close by on foot, so there's no need for a car. Plaza Plateros is no more than 200m away, full of bars and shops and traditional Jerezano "tabancos" which specialise in Sherry. Calle Larga (High Street) and its surroundings constitute the "centre" for leisure and shopping: all just 5 minutes' walk from the house. It's the ideal area from which to discover all the beautiful corners that this town offers. 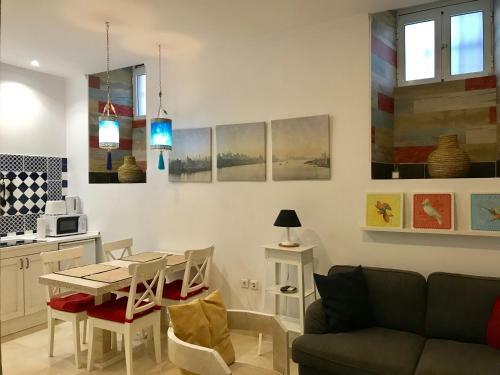 House Rules Casa Seven Apartamentos takes special requests – add in the next step! Please inform Casa Seven Apartamentos of your expected arrival time in advance. You can use the Special Requests box when booking, or contact the property directly using the contact details in your confirmation. It was a little chilly at times due to the not so Spanish weather(it rained a lot) The heater was good but it was such a big area to heat . Won't be a problem when I return in the summer...! Parking is quite difficult, but we went to the underground one recommended by the owner. This apartment was an absolute treasure! So pretty with a lovely little roof garden. Perfectly central for all restaurants bars and plazas. Better shower would be nice.... Personally I dont like showers in baths. Owners went out of their way to be helpful. 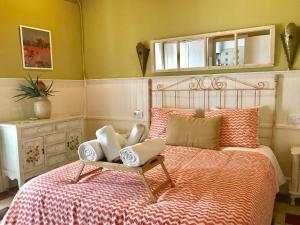 Well equipped and comfortable apartments with quirky style which we really liked. wifi didn't work in room. Nuria, the owner, was incredibly friendly and responsive. She greeted us in the local square and escorted us to the apartment. She also found us local parking at no additional cost. Fantastic location and super friendly and helpful owner. A great rooftop terrace as well!Would definitely return. Spacey, great location and very friendly staff. Nice rooftop terrace.